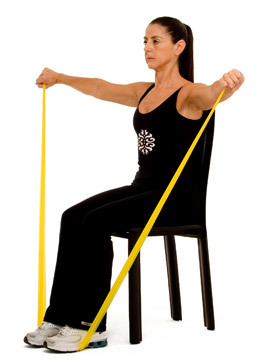 Hold the bands with both hands low and to your side. Raise the bands up and sideways, extending the arms until they reach shoulder level. Resume the starting position. Repeat 5-10 times.